I&apos;m not saying that I&apos;m always successful in this endeavor - talk to me in early March - but I have become better at it. In fact, I credit my husband, Wes, with my appreciation of Winter. When we met, he was the first person I had ever met who liked Winter. I did not know such people existed. So, instead of resenting Winter (and accepting the resultant bad mood that goes with it), I have adopted a new way of viewing this previously dreaded season: by getting outside whenever I can. 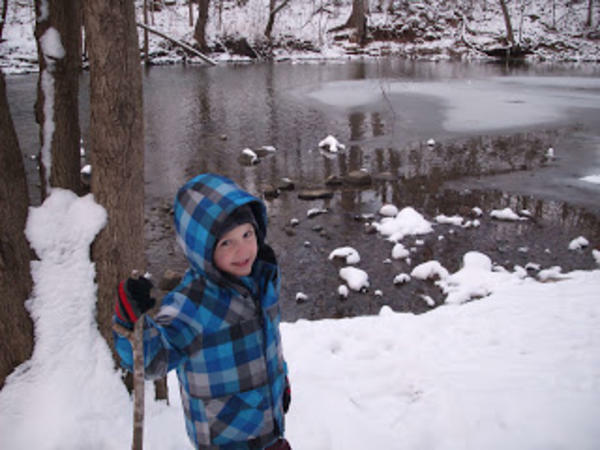 Here are some of my favorite outdoor winter activities. Metea County Park - Cedar Creek runs through Metea Park and, in Winter, especially, its beauty in Northeastern Indiana is unparalleled. The rushing black water surrounded by towering Maples, Hickorys, and Sycamores, with a surround sound of Cardinals and Chickadees calling back and forth is a serene, grounding scene. Local parks - With plenty of natural landscapes, Swinney and Foster Parks are a couple of favorites. 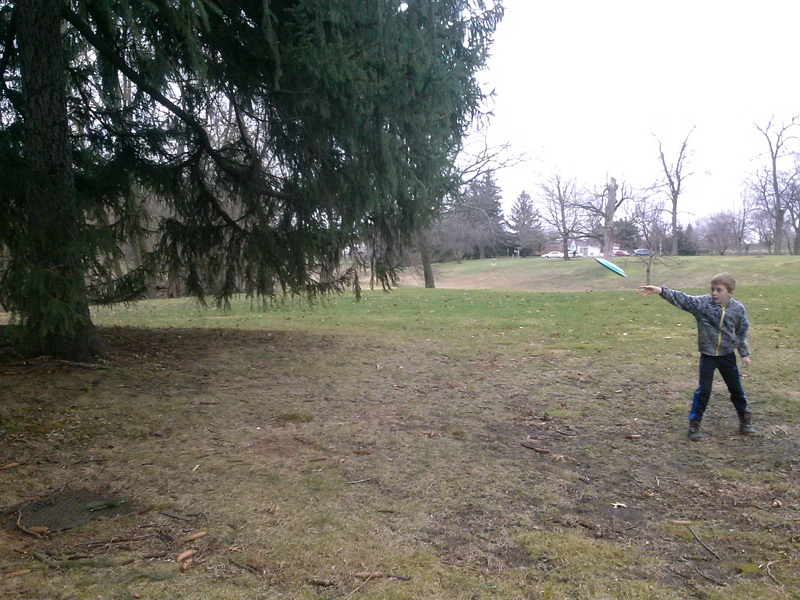 On a recent Winter visit to Swinney Park, my seven-year-old son and I played a little Disc Golf. Don&apos;t know the rules of Disc Golf you say? Neither do we! We just took our Frisbees from home and played whichever hole we saw next. However, we did have a good time and I (may) learn the rules in the future. Cross-country skiing at Fox Island County Park - This is tons of fun, but I have to warn of the first big hill on one of the main trails. Perhaps this is a novice&apos;s problem, but I could barely get up the hill. It&apos;s easily ascended in shoes. Skis? Not so much. Once past the first hill, it was smooth skiing the rest of the way. Ice skating at Headwaters Park - No shame in clutching the rail for the first ten minutes. ACRES bucket list - ACRES Land Trust has thousands of acres of land preserves across Northeastern Indiana and Ohio. I have a goal to visit each one, county by county. This is only a short list of the places to explore and to adventure in our part of Indiana - add to it as much as you can. So, is winter the lesser season? Only if you deem it so.